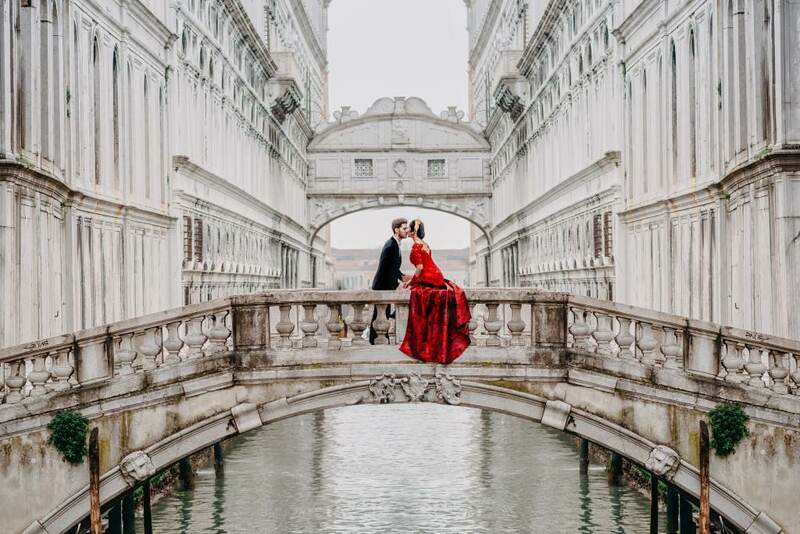 Venice is one of the most romantic and magic destinations for a photo shoot. 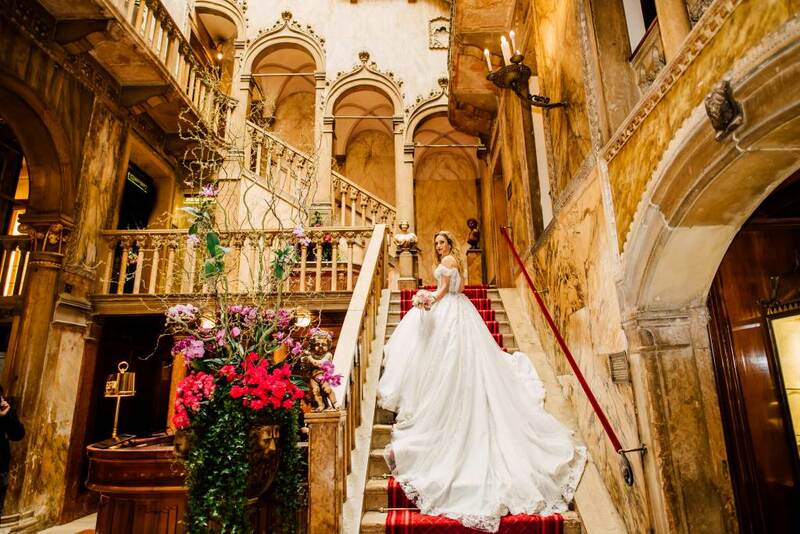 It's a perfect location to create timeless and elegant pictures of your special day. 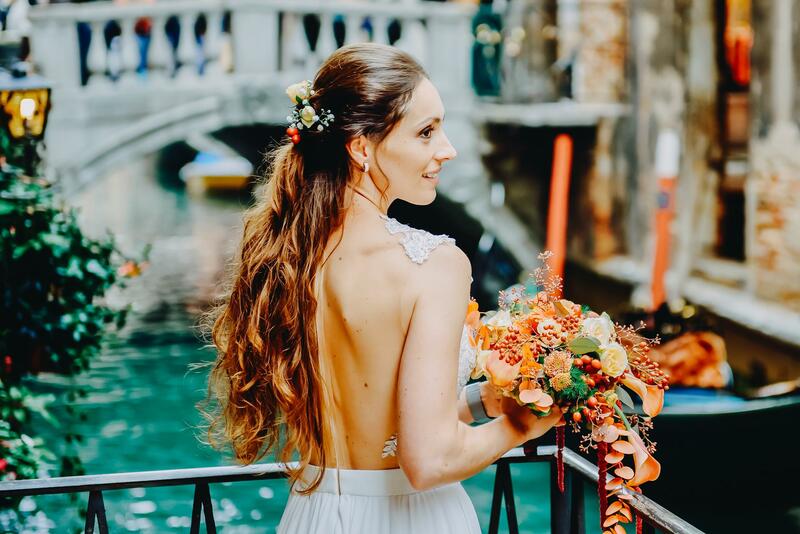 Photography of your wedding, elopement, honeymoon, pre-wedding, engagement, anniversary, proposal or just holiday or vacation made by professional Venice photographer will keep the memories of your moments forever. The best time to discover city is early in the morning (on the sunrise) or in the late afternoon because the light is very soft and beautiful. Early morning is perfect if you want to have famous backgrounds of St Mark's Square and other iconic places of the city. If you prefer to discover off the beaten tracks with your Venice photographer, late afternoon could be great. I'll be glad to share some authentic and hidden spots of the city with nice bridges, channels and cozy streets with you. I extremely enjoy shooting proposals. 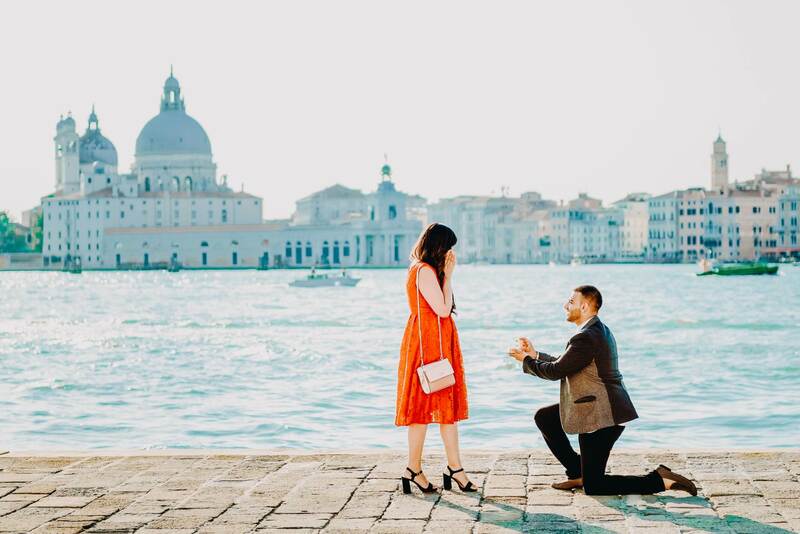 If you are planning Venice proposal, I can help you to choose the best location and organize other details of your romantic surprise proposal (flowers, petals and live music). Each photo shooting is unique for me. 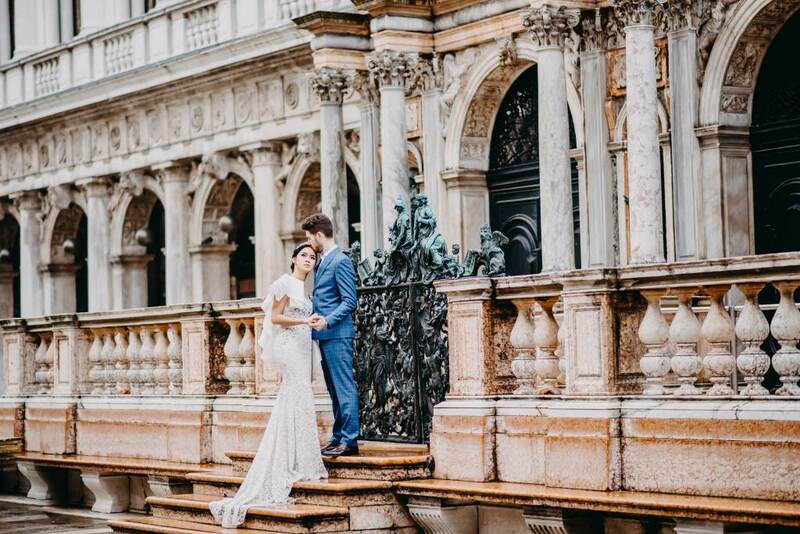 Hiring me as your Venice photographer you get the best quality and a great experience. Let me capture beautiful, candid and emotional moments of your story. 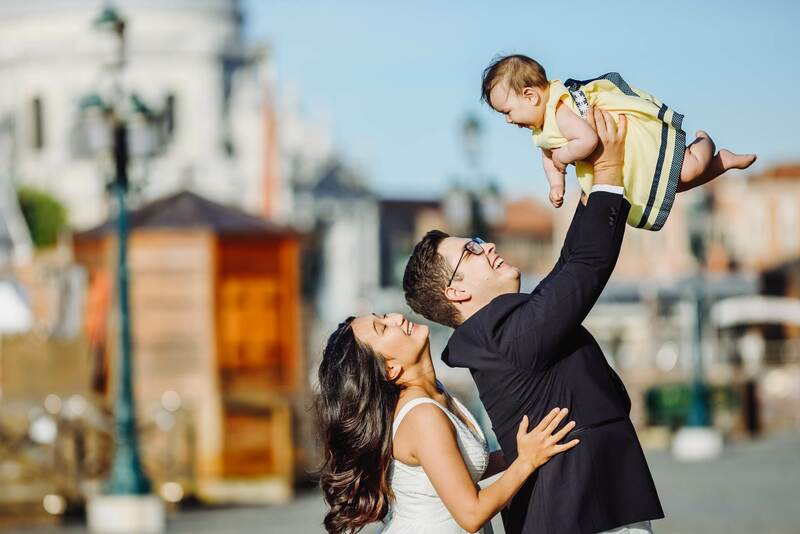 Engagement or couple photo shooting is a great opportunity to have amazing pictures in the stunning city. 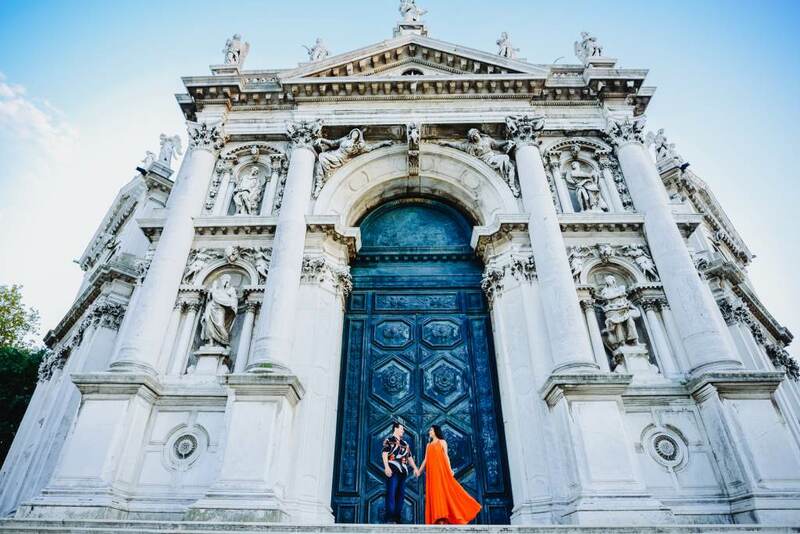 Discover Venice with your photographer and get gorgeous couple images.